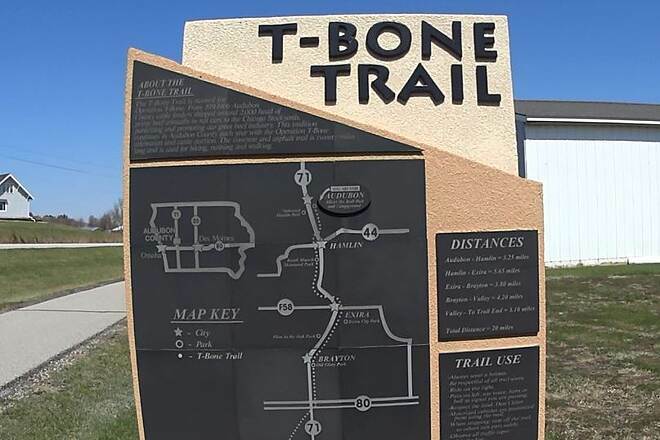 The T-Bone Trail stretches nearly 20 miles between Audubon and Pymosa township in western Iowa. 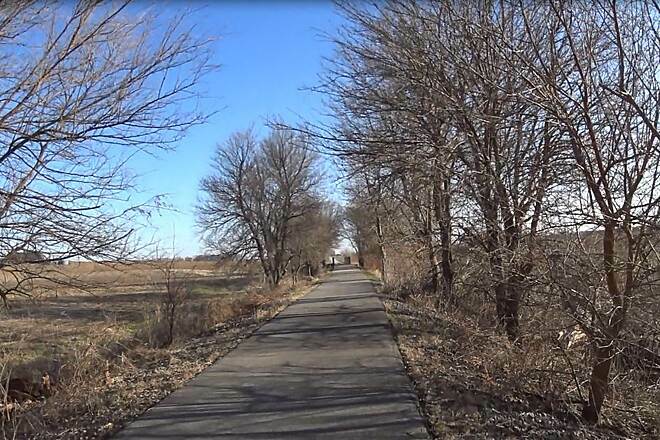 The paved pathway follows a former railroad right-of-way and offers beautiful countryside views. 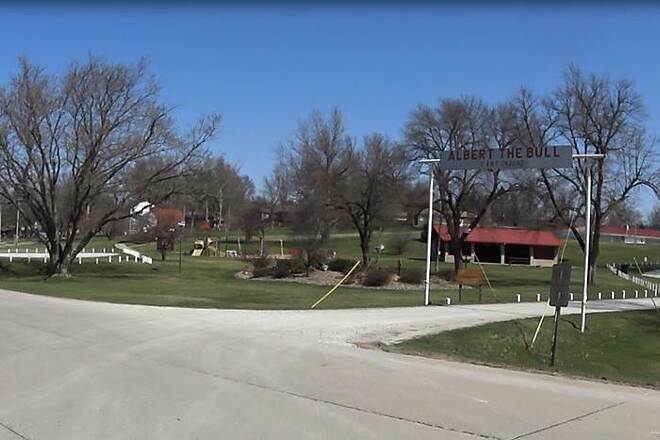 And just north of the trail's northern endpoint in Audubon is Albert the Bull Park; if you have the time, don't miss checking out its 45-ton, 30-foot-tall cow sculpture! 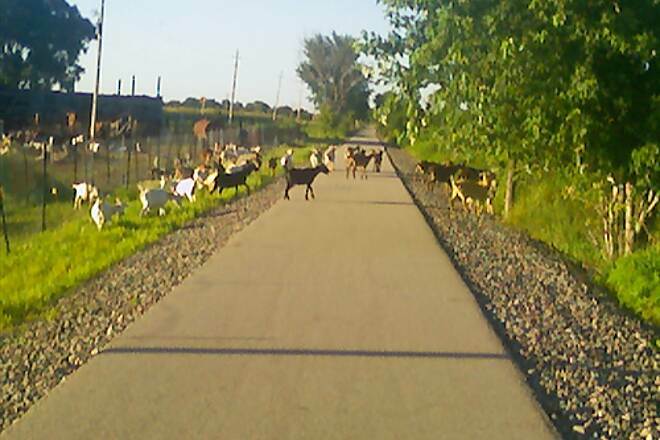 I sincerely appreciate that this trail is directly adjacent to Audubon's airport. We were able to fly in and unload our bikes. We were immediately on the trail. Terminal facilities at Audubon's were airport were first rate and clean. The trail it's self was excellent and being able to ride from town to town made it more fun....Great ride! 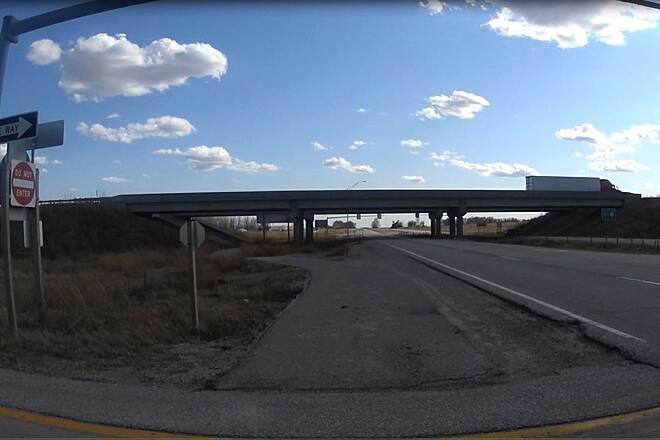 We parked off of exist 60 of I80, and parked south of the interstate in between the hotel and gas station(a small parking lot and the trail head) We headed north to Hamlin, 15 miles. We didn't go all the way to Audubon due to a strong wind in the open areas. It is a nice ride, nice scenery. We stopped in Exira at the Casey's in town for a water and restroom break. The route is 99% flat with only slight inclines that you don't really notice. We got to see some wildlife and it is the country, so you do go by some farms. Good ride for all levels. My wife Linda and I rode the core section of the T-Bone Trail this afternoon. 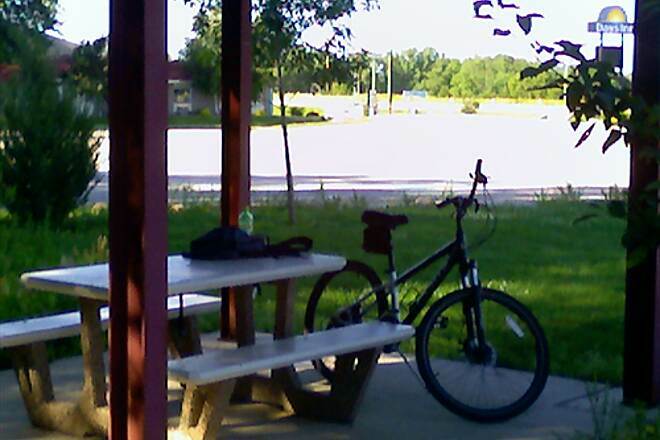 At first, we drove to Albert the Bull Park in Audubon, where we'd intended to start our ride. 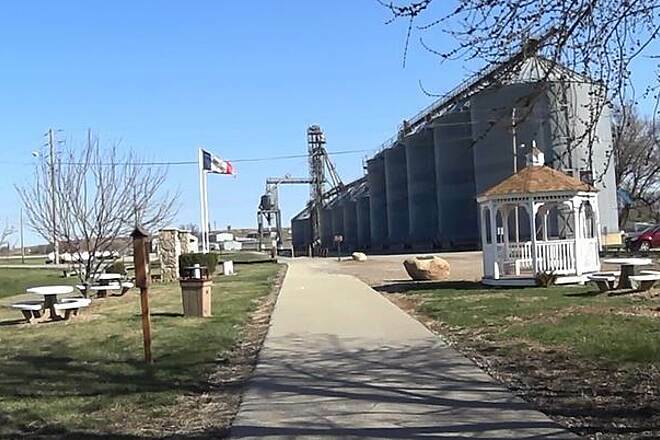 After paying homage to Albert and stopping at a pit toilet-- the park's running-water facility is intended for campers only-- we drove back to Hamlin, 4 miles to the south, and geared up at the small, facilities-less parking are at the intersection of Iowa 44 and US 71. 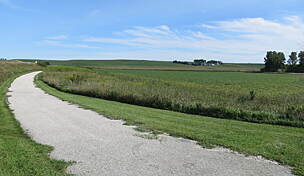 We then rode south from Hamlin to the intersection of I-80 and US 71, about 3 miles north of the trail's end, and returned. The trail, as other reviewers have said, is reasonably scenic. 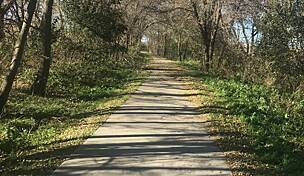 To be precise, the trail is mostly a moderately narrow band of prairie scenery that runs sort of along the East Nishnabotna River between various farms and through a couple of easy-on-the-eyes rural towns. The corn and soybeans look healthy this summer. 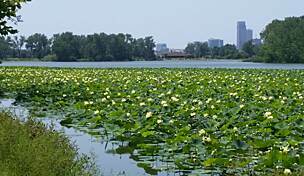 The trail band proper is rich with the usual mid-summer greenery and flowers: e.g., thistle, milkweed, mulberry, even a little orange hawkweed. As for the towns, Brayton, I thought, would be the best place to start a ride. 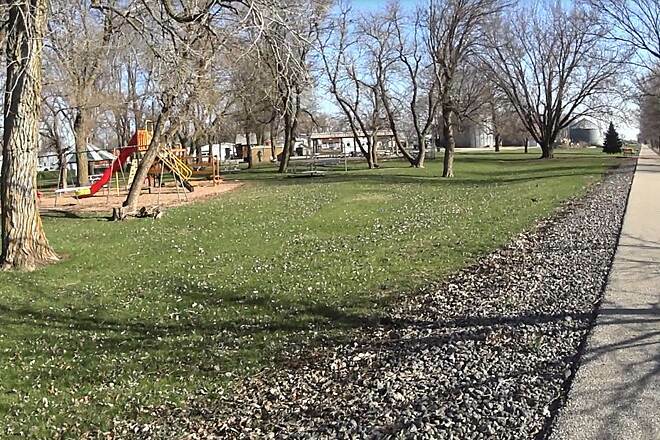 It has a trailside park with ample parking and shade, a picnic pavilion, and bathrooms with running water. Today, the trail felt reasonably secluded. It was empty of users, save for one walker whom we passed near the trip's start and a cyclist whom we met near the end. US 71, which the trail parallels, was reasonably clear of traffic, due mainly, I think, to a major bridge closing a little south of Hamlin. I would expect traffic to pick up again big-time once the bridge is rebuilt. One reviewer noted that riders should prepare for wind. We rode today into the teeth of a 10-20 mph south wind. While that wasn't the trail's "fault", it did make for some tough going on hybrid bikes. 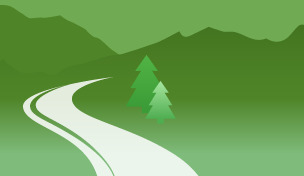 While the trail's surface is for the most part good, the main TrailLink page says that the trail is asphalt. That isn't quite true. The northern section is mostly concrete. Well, actually, it's mostly concrete with this strange, extensive rust-colored pitting that makes it look as if a stream of small iron meteorites hit it at some point. Since it's similar to the pitting on the pillars on the High Trestle near Woodward, IA, I'm guessing this is a regional phenomenon. 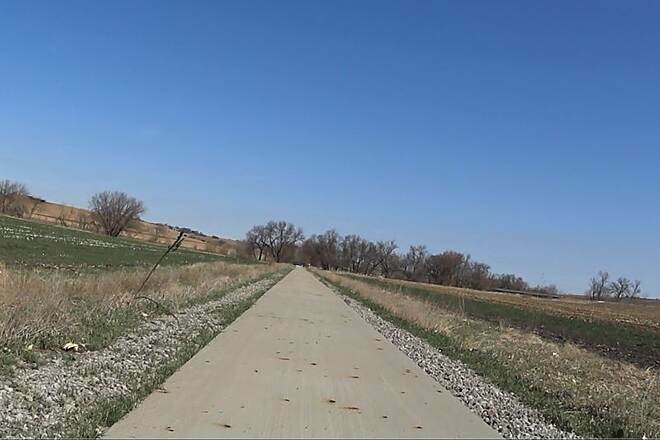 There's one short gravel stretch in the north section, where the trail planners apparently had to route around private property onto 260th street. 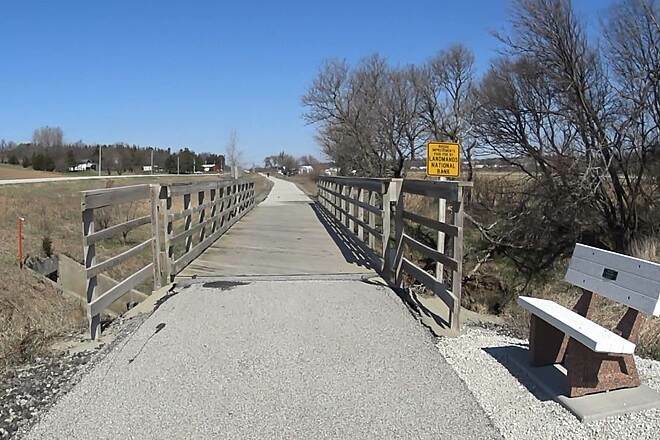 The south section does turn to asphalt, except for a very short stretch south of Brayton where the trail was routed away from flood damage to a gravel path paralleling it. That asphalt stretch is one of four concerns that caused me to omit the fifth star. 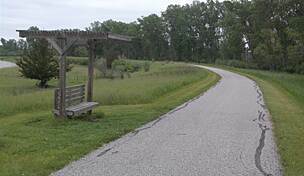 The trail south of Brayton has been patched with tar, in some places extensively, where the asphalt has cracked. While the ride is smooth, Linda and I spent maybe 15 minutes getting tar off the bottom of her bicycle, her frame, and her panniers. Not fun. 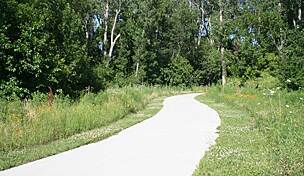 A nice & easy trail for a bike ride. I enjoyed this trail. 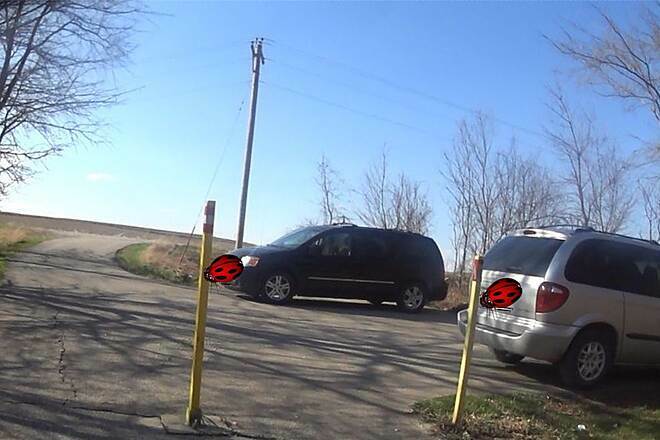 I parked at the parking lot which is about 1 mile west, and 1 mile south, of Lorah, IA. (a couple miles north of Atlantic, IA. The parking lot there is just large enough for about 4 vehicles, and is just out of the way from anywhere that i felt safe to leave the vehicles there unattended all day. It is there for trail purposes, obviously, so we used it. At 8 AM we had the bikes out, and were pedaling down the trail. It really is paved, completely. It was very easy peddling the entire way, which was nice because after biking the entire trail to Audubon, IA, we had to pedal another 20 back to the van, so we rode slightly over 40 miles total. By the way, if you plan to ride it like this, at our 7.4 mph avg moving speed, we made it back a few minutes before 5 PM, including all our stops for sightseeing and geocaching, and a 30 minute lunch break, so it was a fairly easy flat smooth ride to deal with. 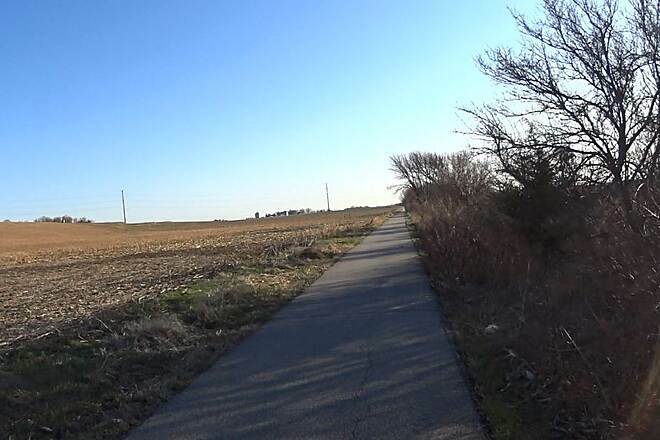 The trail is a mix of scenes, with some having broad open spaces with farmlands on each side, other sections of the trail are lined only on one side with trees, and yet other sections have trees on both sides. It is a mixed trail, so not the same the entire way. There are several smaller bridges (well kept) along the way as well. Early on in the morning, the trail wound us over a couple roads, but traffic was easily navigated, and then it took us underneath interstate 80, which was also easily navigable. 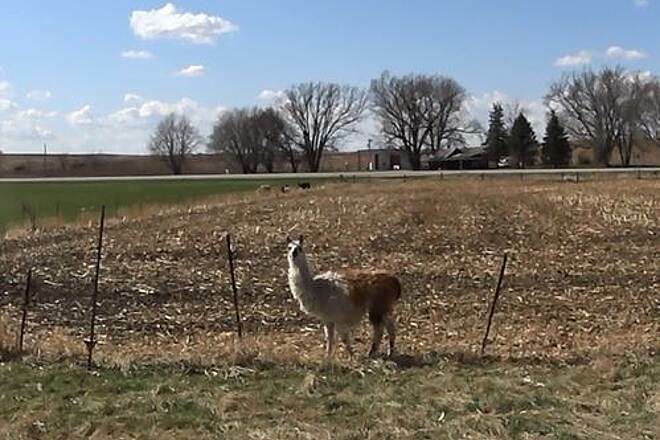 There is a little area that has Llamas, Guinea hens (I think that's what they are). 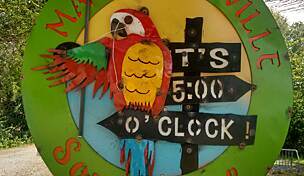 At some of the towns there are stores to grab a water or snack, or even parks with playgrounds. 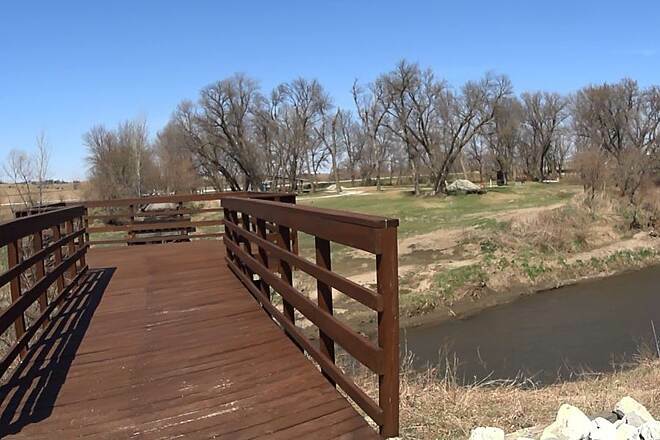 There is a neat little gazebo at Exira, and a couple dead-end bridges to check out along the way. When we got to Audubon, IA, There is a trail head marker that tell a bit about itself. 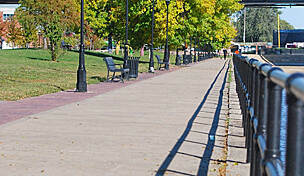 Beyond that a very short way is the park where you will find Albert, and places to eat and rest and play. I'm quite sure that will be much busier later in the year... it is a nice place. 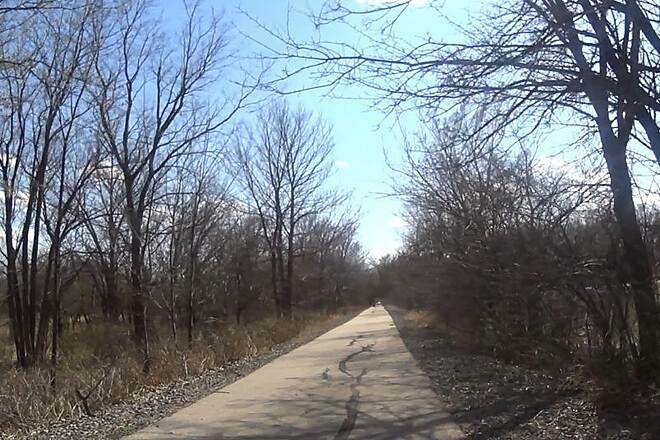 I would like to return here and re-ride this trail when all things turn green. We saw a couple deer, sadly they were not alive, but at least it showed that deer are in the area, and might be seen by other next time, a crane, and pheasant. They have done well to this trail, and you can see where they are planting even more trees in places, so it is only going to be nicer in years to come. 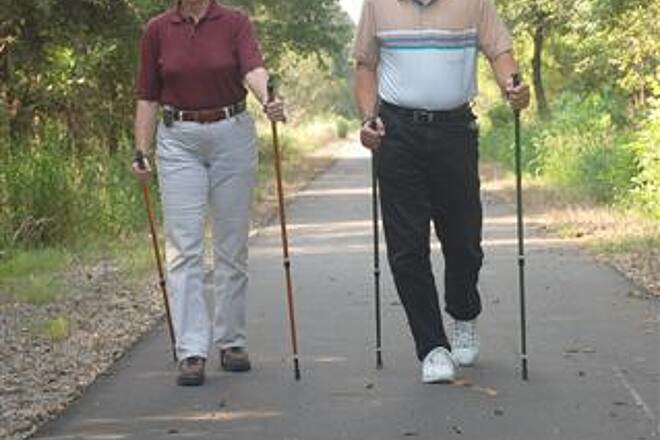 As I said, some of the trail has little, or no wind break, so be prepared for winds on windy days. 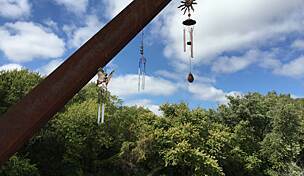 Overall, it was a bit windy out there, but not intolerable, but the nice country/nostalgic views of dreams lived by farm homes with flagpoles, small towns with trailside parks, trees, mixed with the all-paved trail, made it a peaceful fun easy ride. Picked up the trail just north of Atlantic at the trail head off of Dunbar Rd. 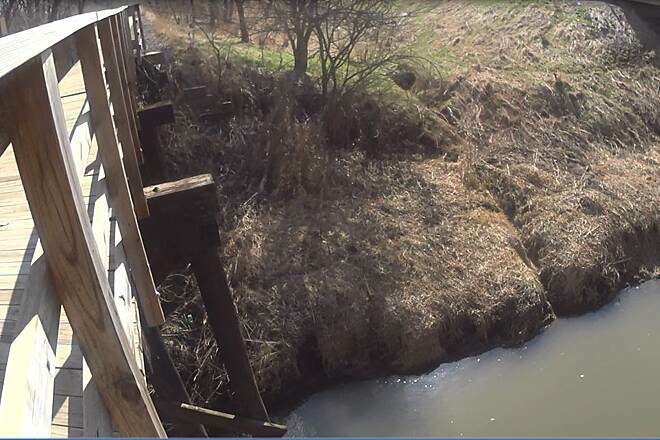 Dunbar is a rough gravel road... Once on the trail, all bridges were in great shape and the scenery is serene and peaceful! If you are looking for an out of the way ride, this is it! 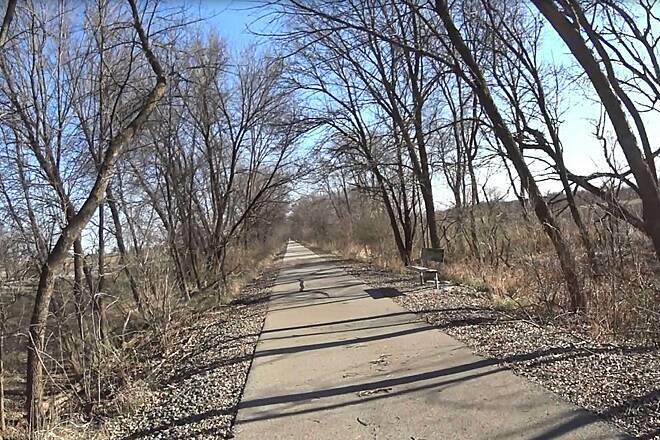 The T-Bone Trail has been completed from Audubon to just North of Atlantic, Iowa. 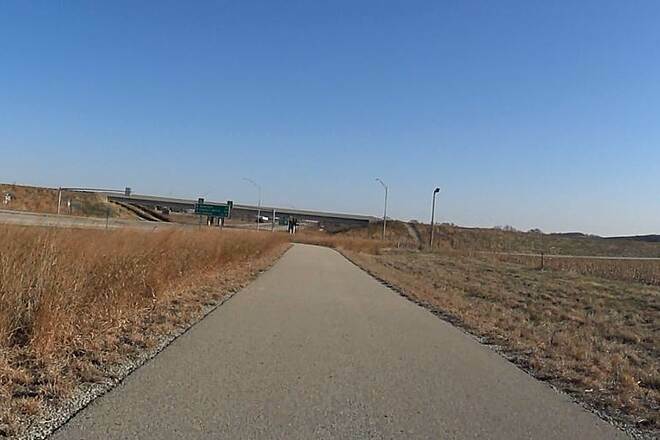 The trail length is 20 miles of asphalt & concrete. 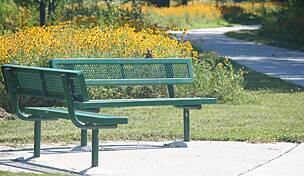 There are numerous areas for rest & picnic along the way with a nice rest stop in Brayton at Old Glory Park. 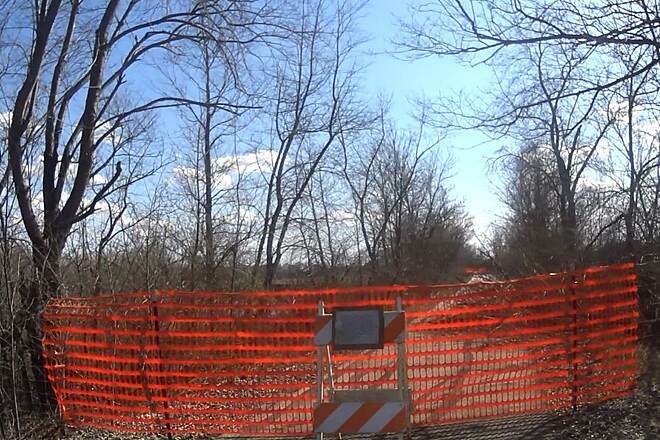 There are restaurants close to the trail in Exira & Brayton. 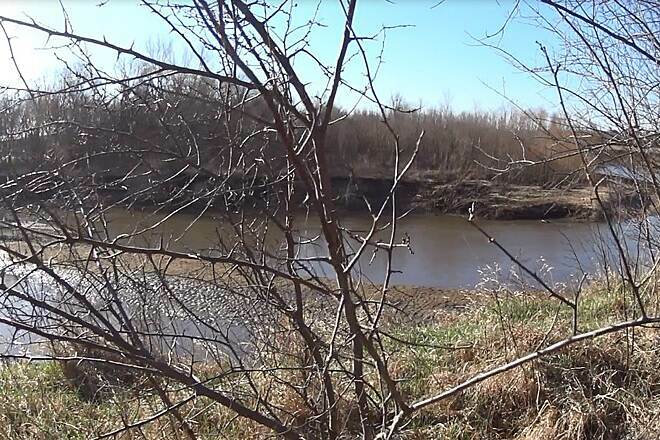 Camping is available at the trail head in Audubon at the Albert the Bull park. 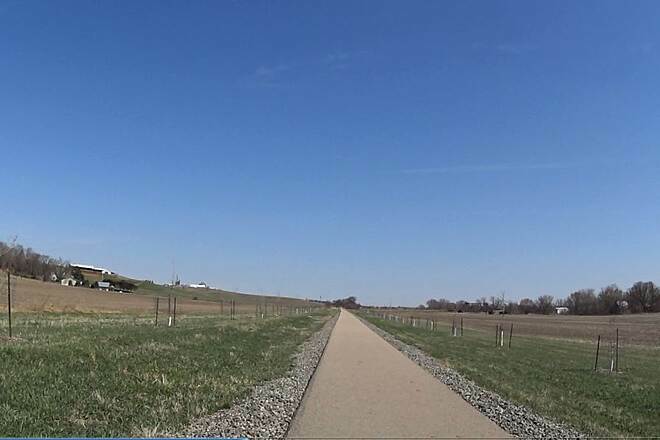 As the railroad is still used just North of Atlantic, plans are underway to get the trail into Atlantic to hook-up to the city bike system. 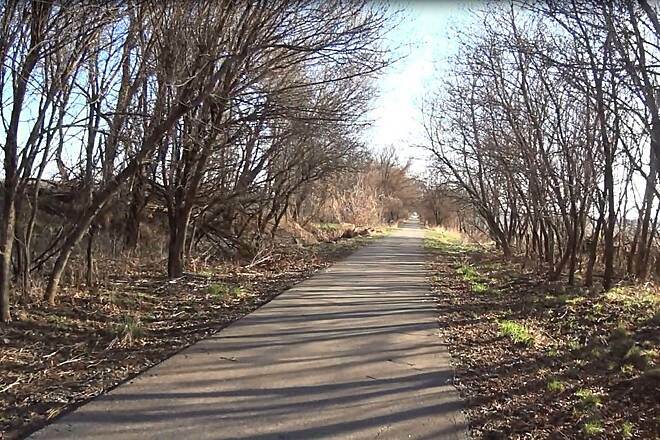 This short trail runs through open space behind the town's high school, following a portion of an abandoned railway line.